The North London derby comes up on Sunday as the Gunners host their fierce rivals, Tottenham, in what would prove to be an important fixture in this season’s title race. The Gunners are three points ahead of their rivals and would be hoping to inflict some damage on them, as Tottenham currently has the proud record of being to only unbeaten team with 10 games gone. Arsenal haven’t defeated Tottenham in the last four North London derbies with the White half of North London earning themselves four draws, and of course, defeat their neighbors when Harry Kane put his name in Tottenham folklore with a brace against Arsenal. However, the Gunners have quite an enviable record against Spurs with one loss in their last 20 games. In this 20 game haul, the Gunners have recorded 12 victories. In the last 43 meetings with Tottenham, Arsenal has scored at least once. For some reason, the Gunners don’t just know how to fire blanks when they face off against Tottenham, which is bad news for those Fantasy Football Managers with Spurs defenders in their teams. 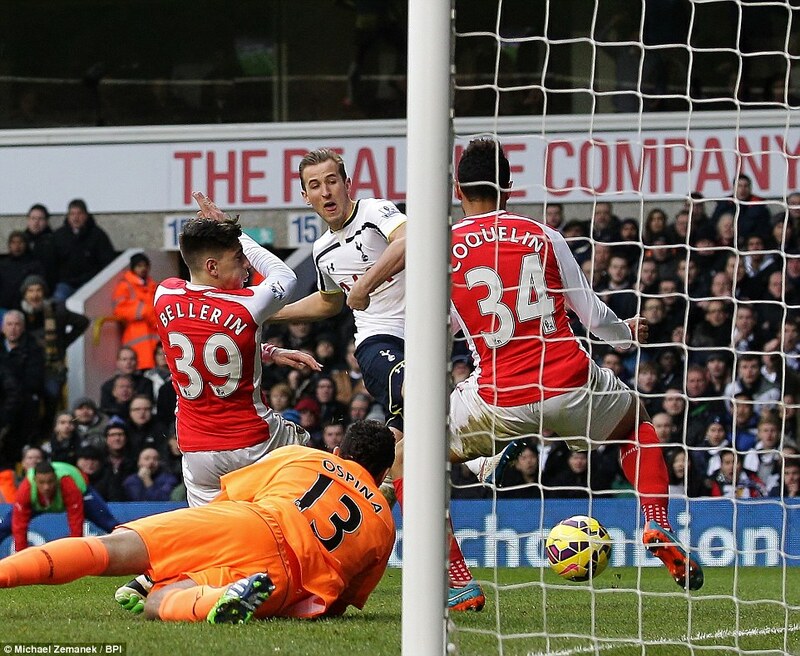 It’s also worth noting that Tottenham’s last clean sheet against the Gunners came some 14 games ago. With the form Arsene Wenger’s men have been in this season, I expect that tally to rise to 15. Since Arsene Wenger took over in 1996, he has played 11 different Tottenham managers but twitchy ol’ Harry Redknapp has the best record, with three wins, three draws and three defeats in nine games against Wenger. 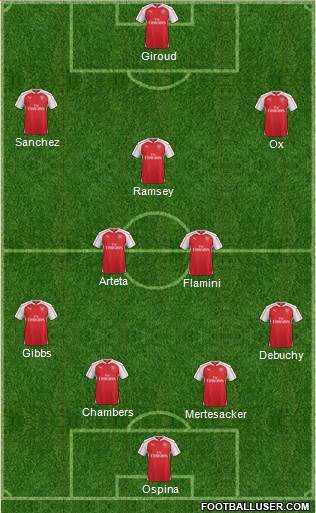 Who can forget that crazy 4-4 at the Emirates in Redknapp’s first season. Martin Jol turns out to be the worst of the pile, as he has never recorded a victory in his career against Wenger with four draws and five defeats. However, the young and vibrant Mauricio Pochettino has never lost to Arsene Wenger in the Premier League with the Argentine amassing one win and three draws in the four league meetings. However, his only loss to Wenger came in a Mathieu Flamini-inspired League Cup win. For info on the other managers that have faced off against Wenger, you can check it out here. Things aren’t looking too rosy in the Arsenal camp at the moment. After enjoying a run of two wins against Newcastle and Stoke, the Gunners slipped to a shocking defeat against Dinamo Zagreb before suffering yet another defeat to Chelsea last weekend. With another daunting fixture against Tottenham tonight, the Gunners will be hoping to end the wretched run of form. The Gunners go into the game without their suspended duo, Gabriel Paulista and Santi Cazorla but thankfully, Per Mertesacker is fit enough to slot right into the heart of the Arsenal defense. Francis Coquelin is nursing a knee injury and we haven’t been informed about the extent of the injury but it’s evident that he will not be available for tonight’s North London Derby. Club captain, Mikel Arteta, will be odds on to take his place in midfield. This game can also see a fringe player like Joel Campbell get some minutes under his belt. He hasn’t convinced a whole lot of people about his abilities but it’s only on the field of play we will be able to get a glimpse of his quality. Spur’s player of the year last season, Harry Kane, has struggled for form this season and he hasn’t been able to find the back of the net for his club this season, even though he scored a very good goal for England in the routing of San Marino. However, new signing from Leverkusen, Son Heung-Min has started his Spurs career well with three goals in his first two games, including the match winner against Crystal Palace last weekend. The Gunners will have to be very mindful of the threat he would pose. 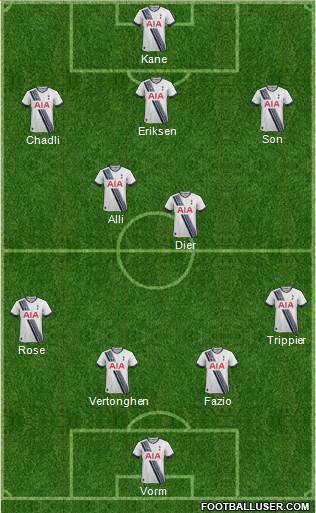 Spurs come into this game on the back of three successive victories in the Europa League and Premier League. After a slow start to the season, Mauricio Pochettino’s men have sharpened their game and are now one of the form teams in the league.